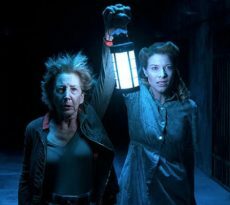 Insidious 1 & 2 are a couple of my favorite horror movies of recent years. 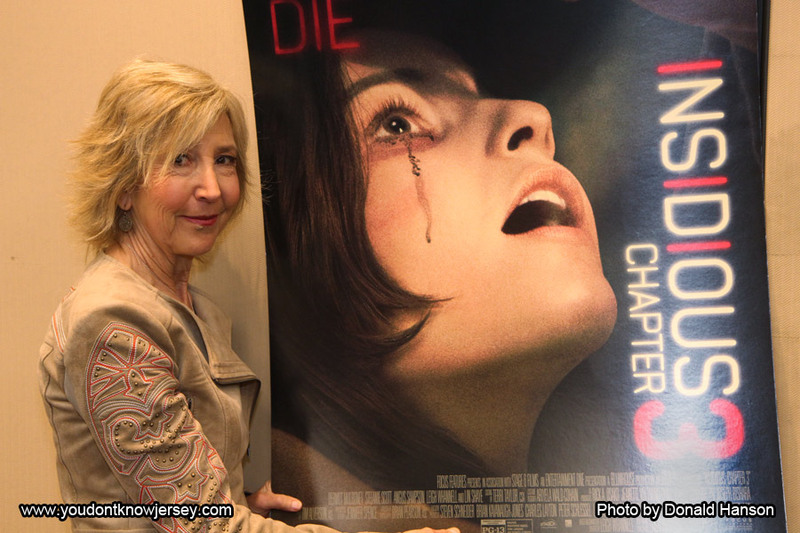 ‘Insidious : Chapter 3’ opens this Friday June 5th and we had a chance to talk to star Lin Shaye at Wizard World Philadelphia this year. If you have seen the ‘Insidious’ films, you know her as Elise, if you haven’t… then get to it and see the previous ‘Insidious’ movies. But even if you haven’t seen the first two, you can go see Insidious 3 as it is a prequel that takes place before the other 2. Q: I was wondering if you ever saw “Insidious 2” with an audience because when your character has her “hero” moment in “Insidious 2”, the audience reaction is amazing! You don’t even see that kind of thing in a lot of movies now. It’s almost like they realized that the audience loves your character so much that this was a good idea for the third movie. A: I’m so flattered. I mean I’m the most unlikely hero. I mean totally, when you think about it, when you think of other movies, who are the heroes, it ain’t me! The one guy said something the other day at one of the interviews we had, he said “We always feel safe when Elise shows up” and I thought, what an interesting thing that is and I wonder if my son feels like that. You know, but you do, you wonder what is that, and I think it’s my real affection for people and the dilemmas we all have. I really try and stay grounded in terms of.. this world is nuts right now and the chaos is more than I can.. you know petting my dog is my favorite thing to do, you know because you can just pet your dog. So I am very grateful and Lee said to me and James too, they said “We’re making you the face of the franchise” and I said are you sure you really want to do that and they said “Yeah we do because you’re the one people are really relating to and Lee said too “You’re the hero”. You’ll see in this one too, there’s a wonderful transition of meeting Elise when she’s at her lowest point and then what happens. It’s was really so much fun to so even though it was exhausting. 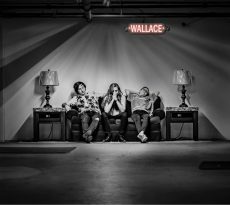 It was a hard shoot for me, and I think of the emotionality, that’s exhausting but I loved every minute of it. Born and raised in Detroit, Michigan, Lin Shaye loved storytelling and knew that she was destined to act for as long as she could remember. 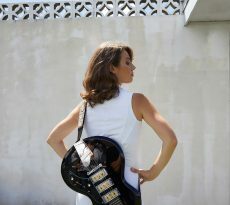 She performed in many plays in college at the University of Michigan, and then moved to New York City when she was accepted into Columbia University’s Master of Fine Arts program in acting. Remaining in NYC, she further honed her skills with such celebrated artists as Joseph Papp and Des McAnuff in such productions as Tartuffe, at the New York Shakespeare Festival; The Tempest; and The Taking of Miss Janie, which she and her fellow cast members performed at Lincoln Center, and which was named Best American Play by the New York Drama Critics’ Circle. Her film debut was in Joan Micklin Silver’s Hester Street, with Academy Award nominee Carol Kane. When Jack Nicholson cast her in Goin’ South, which he directed and starred in, she moved from New York to Los Angeles. Her other early films included The Long Riders, Brewster’s Millions, and Extreme Prejudice, all directed by Walter Hill. In 1982, Ms. Shaye and 12 other actors formed a theater company called the Los Angeles Theater Unit, which produced only new plays and which lasted for a decade, earning many awards. Her performance in the troupe’s staging of Better Days earned her a Dramalogue Award for Best Actress. The Farrelly Brothers recognized her comedic talents and cast her in a series of memorable roles in their film comedies, among them Dumb & Dumber, Kingpin and most notably There’s Something About Mary. Her other notable comedy roles include the KISS-hating fanatic mother in Adam Rifkin’s Detroit Rock City and the head of the Bikini Tanning Team in Mort Nathan’s Boat Trip. Ms. Shaye has appeared in dozens of other movies, including Chuck Parello’s The Hillside Strangler, opposite Nicholas Turturro and C. Thomas Howell; Nick Cassavetes’s My Sister’s Keeper; and, also for Focus Features, William Eubank’s The Signal. Her television guest appearances include ones on Frasier, Becker, Arliss, Kroll Show, and the final episode of ER.